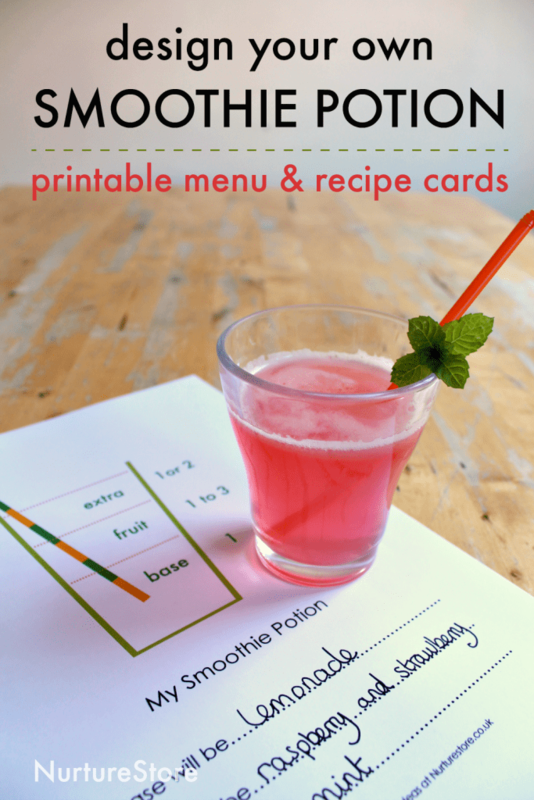 This smoothie making lesson for kids invites children to read, write, make choices and taste new flavours as they create their very own smoothie recipe. It’s the perfect Halloween potion activity for your class party! 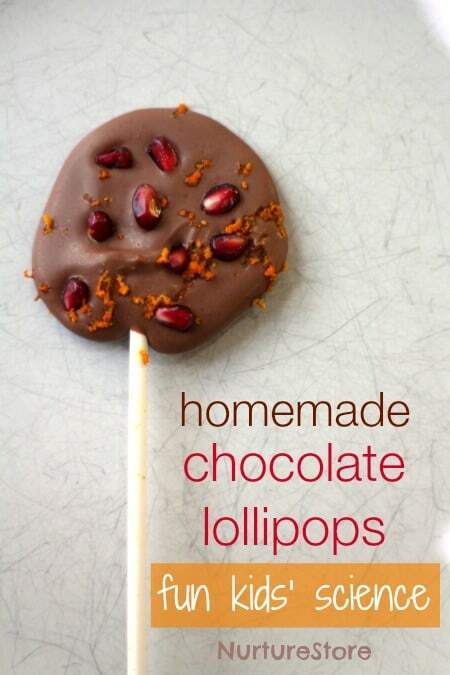 Learning can be delicious with fun kids science experiments like these homemade lollipops. They’re easy to make, yummy to eat and give children the opportunity for some hands-on science investigation. 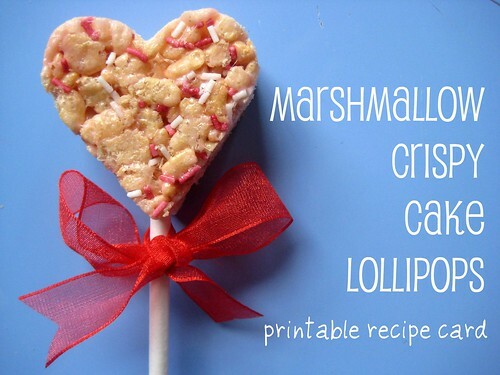 If lollipops make your heart go giddy-up this Valentine crispy cake recipe is for you! Just three ingredients (with a few added decorations) and about 20 minutes to make, it’s a recipe the kids can do by themselves with a little supervision. Here’s how we made them and at the end you’ll find a printable recipe card you can download. 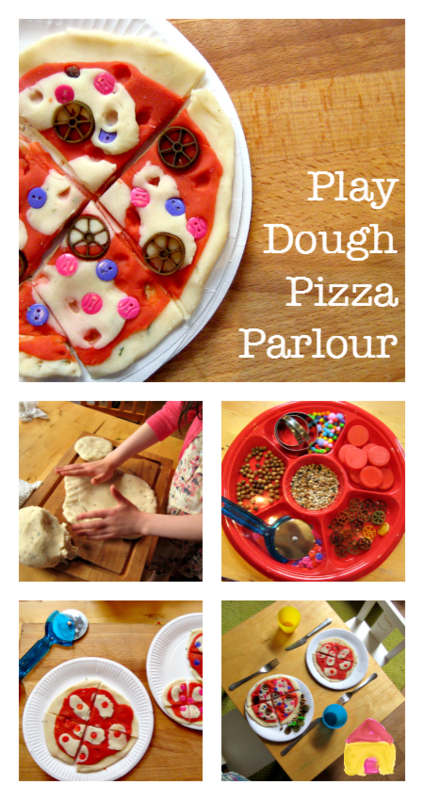 A play dough pizza parlour is a fun sensory play activity that encourages lots of imaginary play and conversation skills. 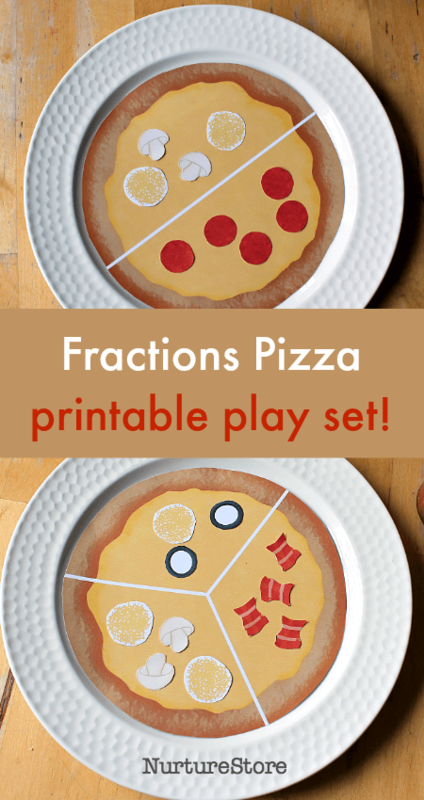 Day Eleven of our Simple Play series is all about kids in the kitchen. Cooking with kids offers opportunities to have fun, learn great life skills, and work on every day maths and science. Plus you might end up with something yummy to eat too. If you need ideas for easy kids recipes, here are our favourites – all tried, tested and eaten by us! 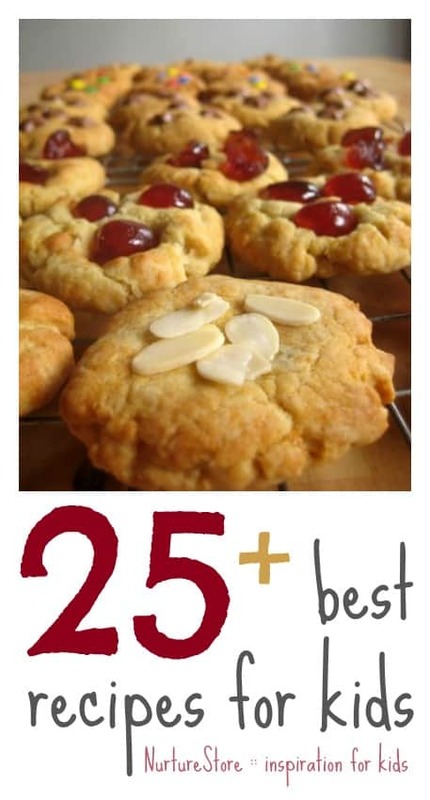 I love having a stash of simple recipes for kids on hand for when the children want to do some baking. 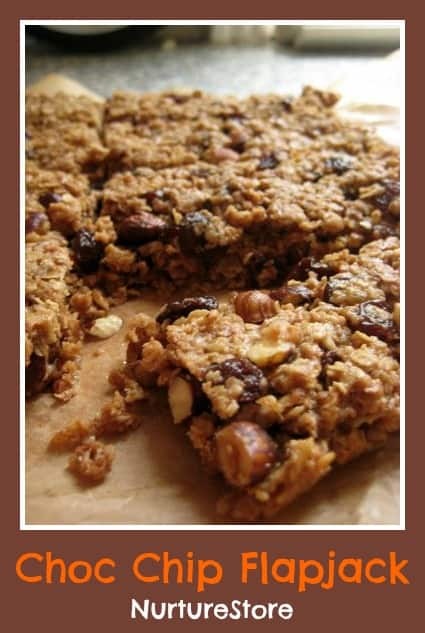 This choc chip flapjack recipe is a really great one for kids to try. It’s quick and easy to make, uses ingredients you probably have to hand (or at least available the local store) and it lets children practise lots of practical kitchen and maths skills. Oh, and did I mention it’s yummy?